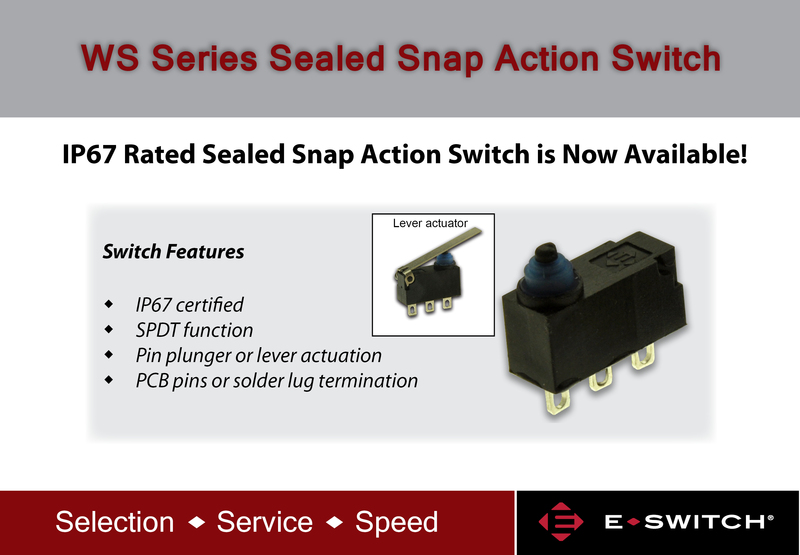 E-Switch announces the new WS series snap action switch. This switch is sealed to IP67 certification and comes with the choice of a lever or plunger actuator option. It is a single pole, double throw (SPDT) switch. Termination options include solder lug or PCB pins.